In April 2016, Spokane County was awarded a $1.75 Million MacArthur Foundation Safety and Justice Challenge Grant. The grant application was spearheaded by the Spokane Regional Law and Justice Council (SRLJC). Prior to receiving the grant, members of the Spokane community were invited, recruited actually, to participate in community forums and meetings where we heard about the SRLJC‘s proposed commitment to reducing the county’s jail population and the over-representation of people of color, and their desire to have community members actively engaged with them in the process. The diverse group of community members that participated in the lead up to the grant application was enthusiastically supportive of the SRLJC’s efforts. In fact, it was this high level of engagement by the Spokane community, initially prized by the SRLJC and recognized in their grant application, that was touted by the MacArthur Foundation as one of the factors behind its decision to award the highly competitive grant to Spokane. However, in the two years that have passed since Spokane received the MacArthur Foundation grant, the enthusiasm from many of the community members who were initially engaged with the SRLJC has been replaced with frustration, dissatisfaction and disappointment. One of the primary frustrations has been the community’s perception that there is a lack of transparency and accountability from the SRLJC regarding its work in general, and the MacArthur Foundation grant in particular, and that the community’s desire to be collaborative partners in the jail reform process has been met with resistance, deflection, avoidance, and at times with what has appeared to be outright hostility. Among other things, community members have been repeatedly making the same two requests of the SRLJC. To no avail. We are not aware that this has taken place and as a result we are asking again for data across all decision points, that is disaggregated (by race, ethnicity, gender, and age), and we are specifically asking for disaggregated data from all judges in the city of Spokane and the County, from the year 2000-Present regarding the following: Crimes, Judgments, Assigned Amount of Legal Financial Obligations (LFO’s), Set Bail and Length of Sentence. In the interest of transparency and accountability, members of the community have repeatedly asked for a record of how the $1.75 Million MacArthur Foundation grant funds have been spent to date. How does that spending compare to the grant application and how has that spending impacted Spokane’s jail population? We, the undersigned, are publicly making these same requests again and we encourage others in the community to do the same.  Our intention is not to be combative or adversarial, but as was stated in the SRLJC MacArthur Foundation grant application, “continuing to work with our active community groups should allow us to make significant progress in reducing racial/ethnic disparities.” However, successfully working with the Spokane community is not a given. It requires mutual respect, meaningful participation, transparency and accountability. We are requesting all four. For more information about the MacArthur Foundation Safety and Justice Challenge Grant and the Spokane Regional Law and Justice Council, including dates and times of monthly meetings, visit: https://www.spokanecounty.org/872/Spokane-Regional-Law-Justice-Council.